The first quilt is king size, just under 120 inches square, and was sent by Edi from Mount Isa. It is the last of the March Madness quilts and is being quilted with the deb's swirls e2e pattern. The Corduroy Bear quilt comes from Narelle at Tara and is being quilted with the tumbling bears pattern, while the bottom quilt was made by Karla from Toowoomba and is being quilted with the chaos pattern. 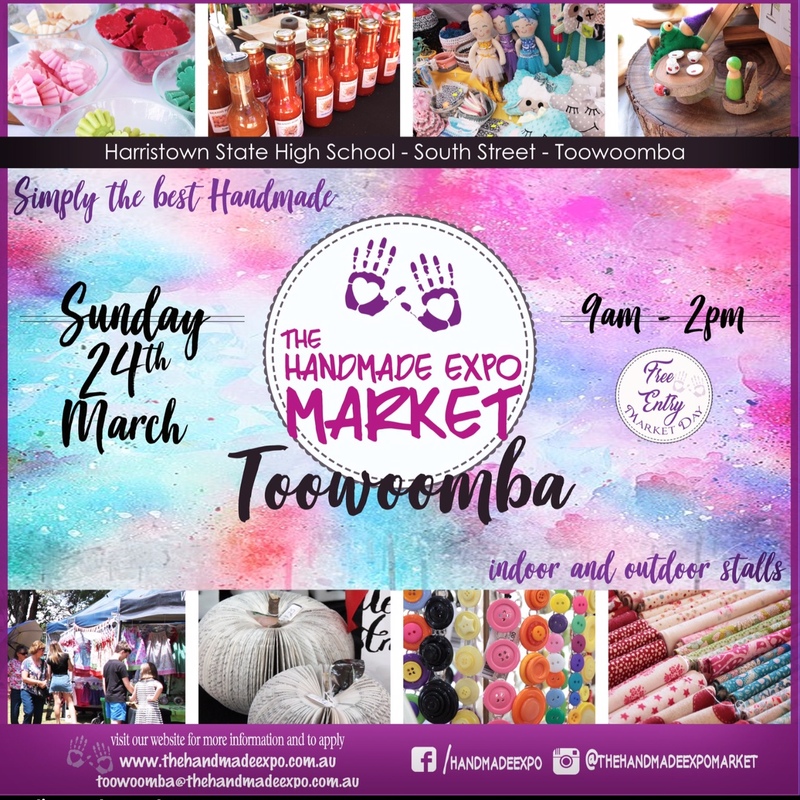 Check out the new range by Kat from Kat's Kool Kreations at the Handmade Expo at Harristown High, South Street, Toowoomba on Sunday 24. Two baby quilts from Joanne at Cunnamulla are being quilted with the I Love It trailing hearts pattern. The umbrella applique quilts from Ursula at Victoria Point is being quilted with the happy times pattern, while the next two quilts are from Pittsworth. The last quilt was made by Toni from Toowoomba and is being quilted with the Paihia e2e pattern. Our first March Madness quilts arrived today. Phyllis from Toowoomba asked for the Bohemia e2e pattern on the yellow and green quilt and debs swirls on the grey border quilt. The first quilt is from Phyllis of Toowoomba who chose the damask e2e machine quilting pattern for her quilt. Johnelle from St George asked for a circular design for the second quilt below, for which KoolKat chose the sticky buns pattern. The hungry caterpillar quilt was made by Myril from Drayton North, Toowoomba and is being quilted with the dragonflies e2e machine quilting pattern. 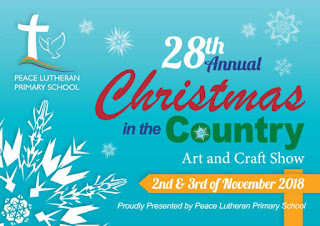 Next month will busy with market stalls. The first is The Crafters Expo in the old Grantham Butter Factory on March 9. This will be your only opportunity to do a rag rug making workshop with Kat from KoolKat. 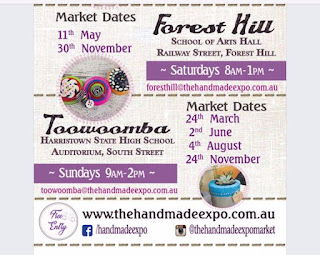 Go to The Crafters Expo website for bookings which are now open. 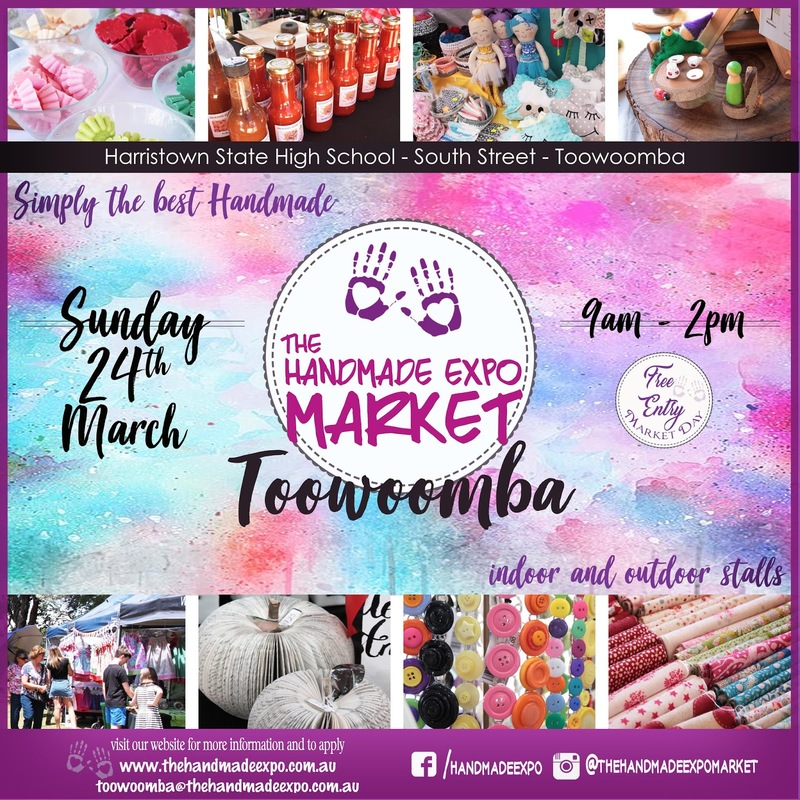 Then on March 24 we start the first of 6 Handmade Expo stalls in Toowoomba and Forest Hill, the first being at Harristown High auditorium, South Street Toowoomba. 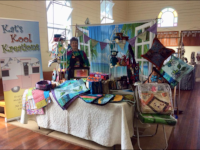 Kat of Kat's Kool Kreations has a stall at Toowoomba Market, Mill Precinct, Ruthven Street, Toowoomba until 2 pm today. These two quilts were made by Toni from Toowoomba. The quilt in the foreground is being quilted with the paisley feather e2e machine quilting pattern, and the other quilt with the budget loop-d-loop pattern. Our first market stall will be at the Grantham Butter Factory as part of The Crafters Expo on March 9. Don't forget our rag rug making workshops, if you are interested. We will then go to Harristown State High School auditorium later that same month (March 24) as part of The Handmade Expo. 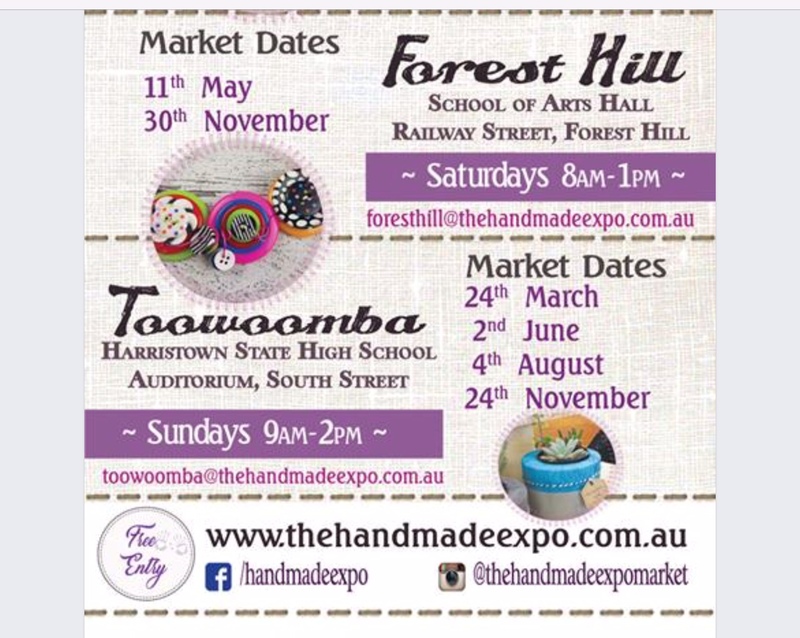 On Sunday May 11 we will return to Forest Hill as part of The Handmade Expo, then back to Toowoomba on June 2nd. These dates are just part of what we'll be doing this year, and we will keep you posted. The star quilt was made by Pam from Toowoomba and is being quilted with the daisy chain e2e pattern. The purple quilt cam from Toni of Tewantin and is being quilted with the Irish swirls pattern. The pink quilt from Jenny of Toowoomba is being quilted with the tea rose pattern. Despite Kat being in Hobart to help with our new grandson, the show must go on. Geoff will be standing in for Kat at Kat's Kool Kreations/KoolKat Quilting at the Handmade Expo, Harristown High School auditorium, South Street, from 9-2 this Sunday. The first quilt was made by Wendy from Toowoomba and is being quilted with the not square e2e pattern. The next 2 quilts were sent by Debby from Belivah, the first is being quilted with the butterflies pattern and the second with the flower puff pattern. The blue and white quilt was made in Singapore and brought by Val from Toowoomba. I tis is being quilted with the budget meandering leaves pattern. 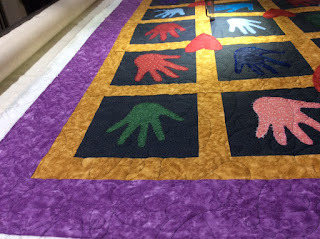 The first 2 quilts were made by Lydia from Middle Ridge, Toowoomba - the first is being quilted with the belladonna e2e pattern, the next with paisley feather. The last quilt is being quilted with the sunflower pattern and was made by Glenda from Mt Rascal. KoolKat will be at several markets from the beginning of November to the end of the year. We have a busy program of markets coming up. Next month on the 2nd and 3rd, we will be at the 28th Annual Christmas in the Country Art and Craft Show in the Gatton Shire Hall. This is one of the premier markets in the region and draws visitors from across the region including Brisbane. There is also an opening night on Thursday 1st, entry is limited to pre-paid tickets. The first quilt was made by Noela from Westbrook and is being quilted with the budget meandering leaves patter. The star quilt was made by Berneice from Currimundi and is being quilted with the tea rose pattern, while the black and white quilt was made by Pequita from Toowoomba and is being quilted with the fireflies e2e machine quilting pattern. The clowns quilt made by Denise from Toowoomba is being quilted with the hearts e2e machine quilting pattern. Janine from Hatton Vale chose the stars and loops pattern for the red and black quilt, with Janine from Fernvale chose the hearts pattern for the quilt she made with her Year 4 class.